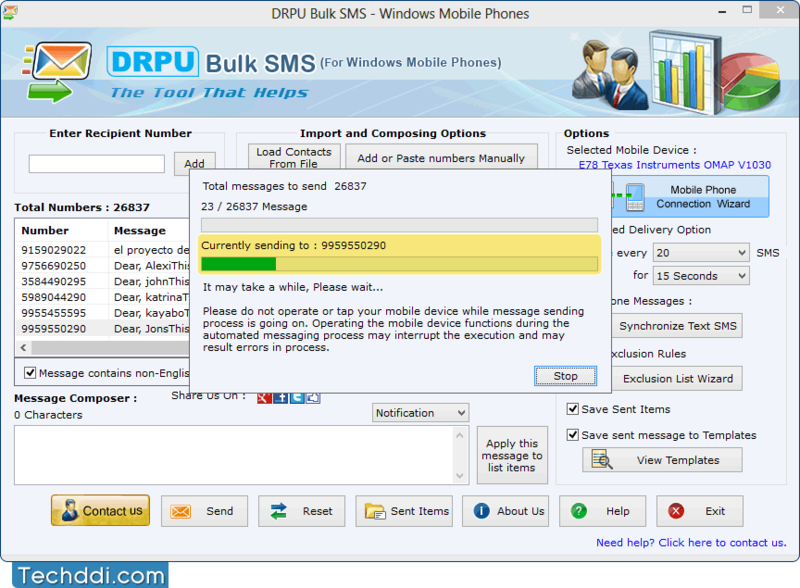 To send bulk SMS, add phone numbers and messages with the help of Import and Composing Options. 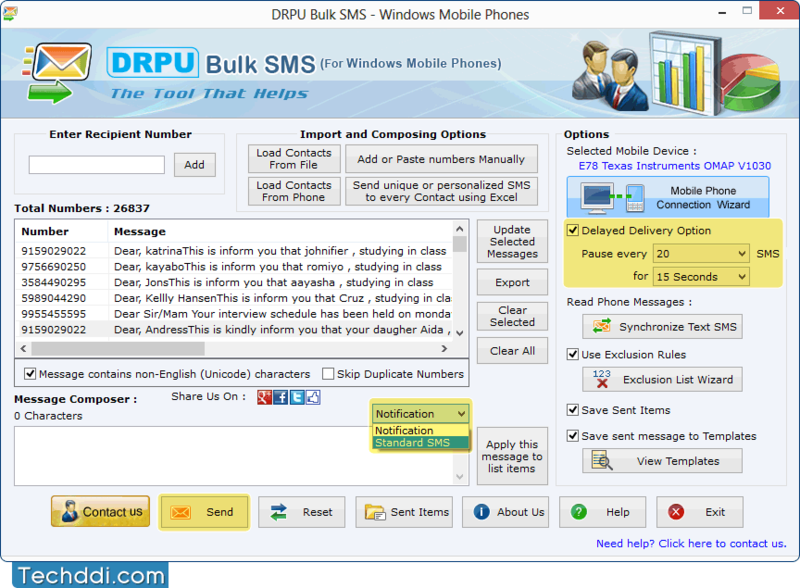 Software has advanced features to send SMS such as Delayed Delivery Option, Exclusion List Wizard, Send Unicode SMS etc. 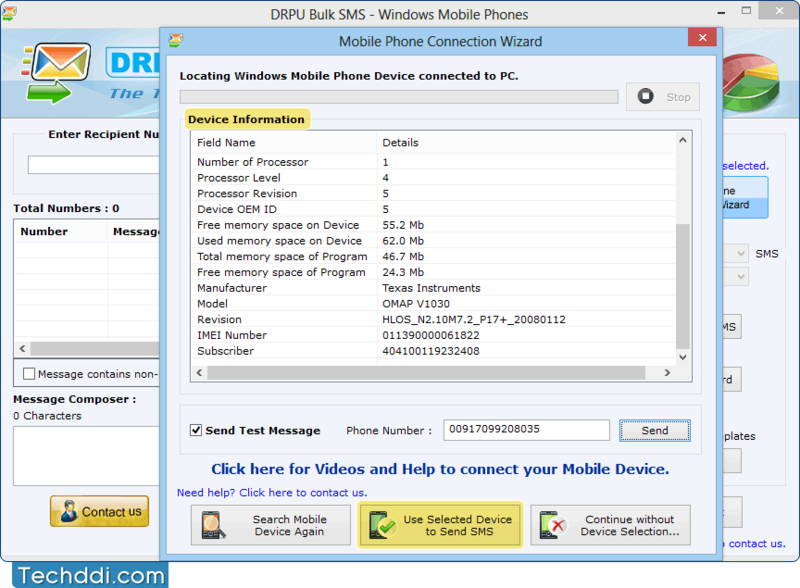 Select Notification or Standard SMS option and click on Send button. SMS sending process is under progress. Above screen displays the current running status of messages sending process.